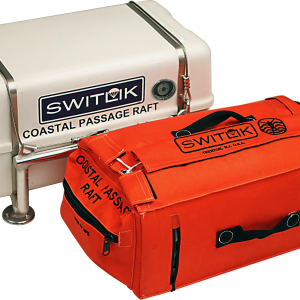 The H20 Small Raft model (green label) is used for USCG approved liferafts < 6 persons and all recreational rafts up to 12 persons. 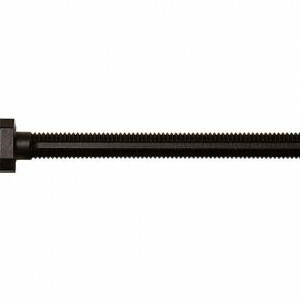 The weak link system has a breaking strength of 1,2 +- 0,4kN. 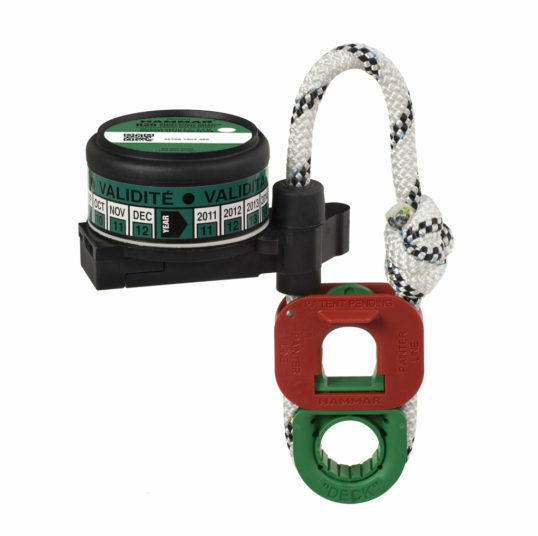 The Hammar H20 for small rafts consists of a double looped white rope line, a release mechanism and a Red Weak Link with a green lower thimble (breaking strength 1,2 +/- 0,4 kN). 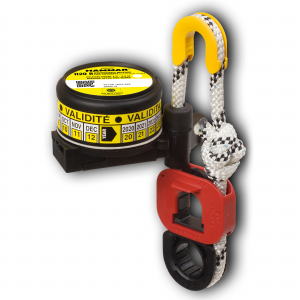 The white strong rope of Hammar H20 is secured to the deck or liferaft cradle and attached to the liferaft lashing with a slip hook. If the ship sinks, the water pressure will, within approximately 4 metres, activate a sharp knife, that cuts the white strong rope and the liferaft will float free. As the ship sinks, the liferaft painter line will be stretched and the liferaft starts to inflate. The Red Weak Link breaks and survivors can board the floating liferaft. 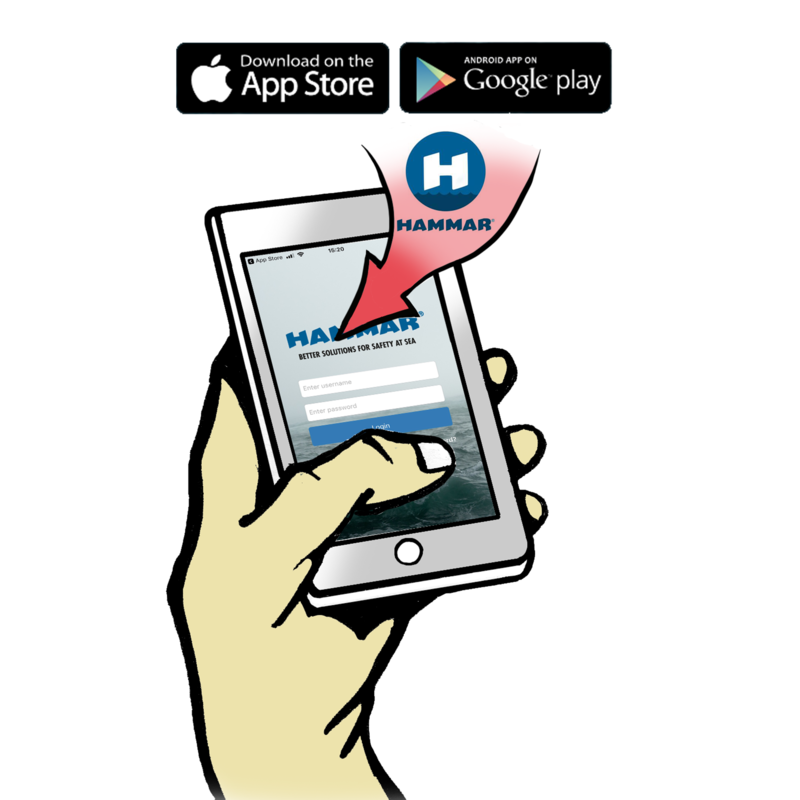 The Hammar H20 needs no annual service, maintenance or spare parts, but must be replaced after 2 years of use on a ship.